Mermaid wearing crown blowing a shell horn done in retro style on isolated backgound. Illustration of a mermaid wearing crown blowing a shell horn set inside circle done in retro style on isolated backgound. Drawing sketch style illustration of a vintage mermaid holding flower looking to the side set on isolated white background. 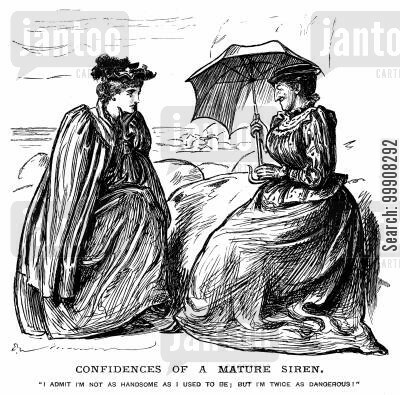 Confidences of a Mature Siren. Illustration of a mermaid siren sitting singing looking to the side set inside oval shape with sea ocean in the background done in retro style. Drawing sketch style illustration of a Mermaid siren Sitting on Boat transom set inside circle on isolated background. Drawing sketch style illustration of two sirens on an island waving calling a tall ship set inside circle with full moon in the background.